Stock divestment strategies have been widely proposed to undercut financial support for fossil fuels. The German lignite industry, however, cannot be tackled in this way, writes independent energy expert Jeffrey Michel in a highly informative analysis. Lignite stations and mines are owned by regional communities in the west and a Czech consortium in the east. Although some power plants are being phased out against government-arranged subsidies, pulling away from lignite usage altogether is not so simple and may not be a good idea. It would leave unpaid obligations behind for mining landscape reclamation and groundwater management and might lead to political backlash. Dealing with lignite requires local policies and strategies to develop feasible alternatives. According to the German chapter of 350.org, the capital of Berlin is the only German state to have divested its government pension reserves of €823 million from fossil fuel investments. Similar resolutions adopted last year in North Rhine-Westphalia, Baden-Württemberg and Rhineland-Palatinate have not yet been implemented. However, such intentions could have little effect on domestic lignite policy. Germany’s largest lignite corporation, RWE, is partially owned by regional municipalities. Eastern Germany’s lignite industry is largely in the hands of private investors from the Czech Republic. Both businesses are being reorganized for greater operating efficiency and increased public acceptance. Up to a year ago, western German lignite production was integrated into the cumbersome corporate structure at RWE in Essen. In addition to mining, the company handled generation, transmission, marketing, innovations, and foreign acquisitions. 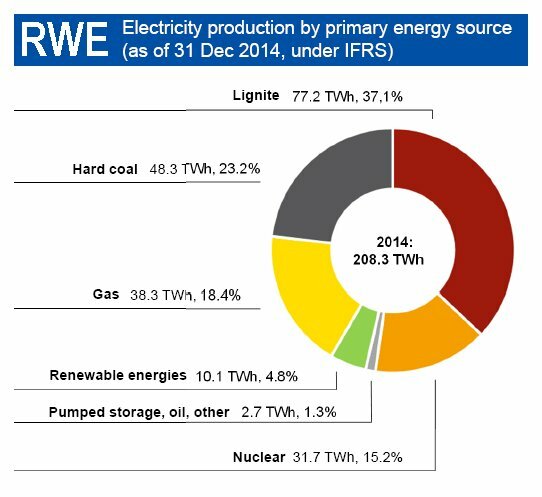 Renewable energies produced only 4.8% of total generated electricity in 2014, less than one-fifth of the German national average. Due to declining revenues at conventional power plants, regular stock dividends were cancelled for the 85 cities, counties, regional utilities (Stadtwerke), and local banks in the communal shareholder association VkA. 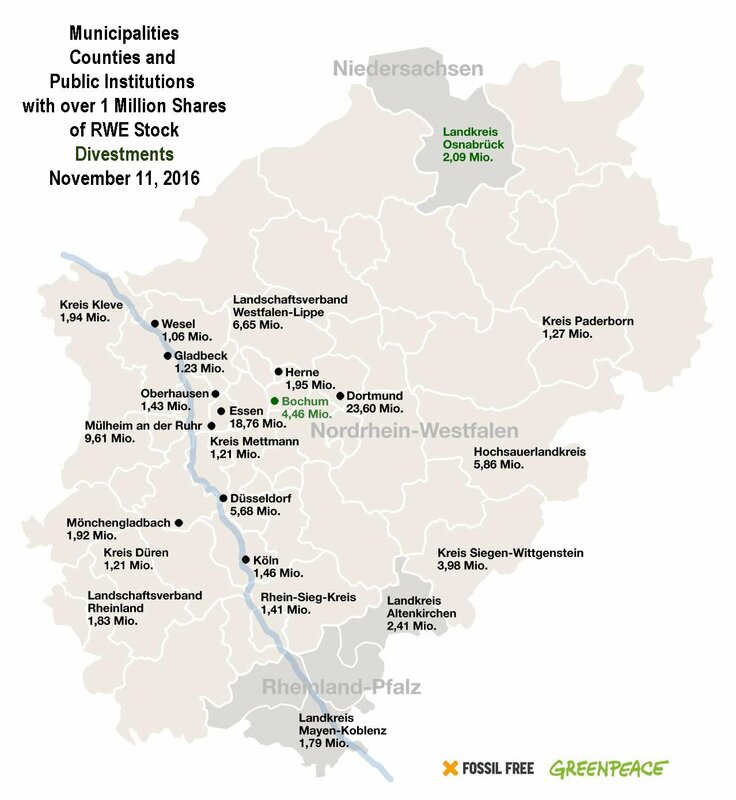 Greenpeace Cologne has compiled a map of all RWE municipal entities, most of them in North Rhine-Westphalia, with over one million shares. Besides selling its DEA natural gas division, the corporation has discharged 10,000 employees (14% of total staffing) over the last three years to reduce operating costs. By 2018, another 2,000 positions will be eliminated. 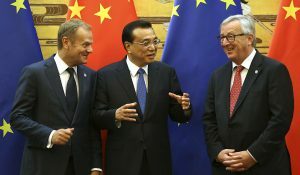 After RWE disputed the need for splitting the company to emulate its market rivals E.ON (renewables) and Uniper (conventional generation), an inverted strategy was finally resolved. CEO Peter Terium assumed responsibility for the green power subsidiary Innogy originally founded in 2008. The exceptionally successful corporate IPO of October 7, 2016, has provided fresh revenues for lignite mining and power generation. Since the beginning of this year, the listed RWE share price has risen by 30% to nearly €16. Before that time, certain municipal shareholders had considered divesting their holdings to preclude further revenue erosion. The city of Bochum began divesting its 6.6 million RWE shares last year at a unit price below €15, compared with €100 a decade ago. The county of Osnabrück also passed a resolution to sell its 2.1 million shares, but the transaction was then postponed indefinitely. 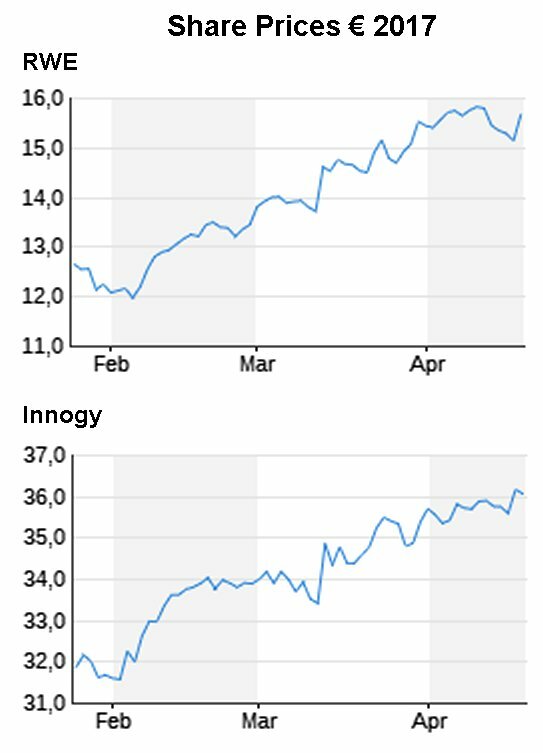 The IPO spinoff has since provided RWE with €680,000 of Innogy dividends. 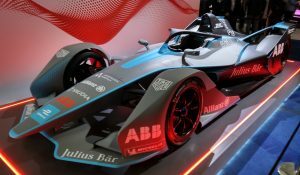 The newly organized RWE now aspires to provide backup power generation capacities for the electrical grid whenever renewable energies prove inadequate. 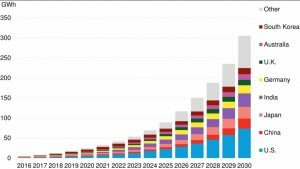 By 2022, all remaining eight nuclear reactors in Germany and 70 additional power plants will have been retired, reducing current generation capacities of 107 gigawatts by more than 30 GW. 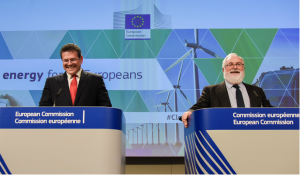 Keeping the remaining infrastructure supplied with power would cost an estimated €2 billion per year in the estimation of CEO Rolf Martin Schmitz, which “is not much in comparison with €25 billion for green power subsidies”. 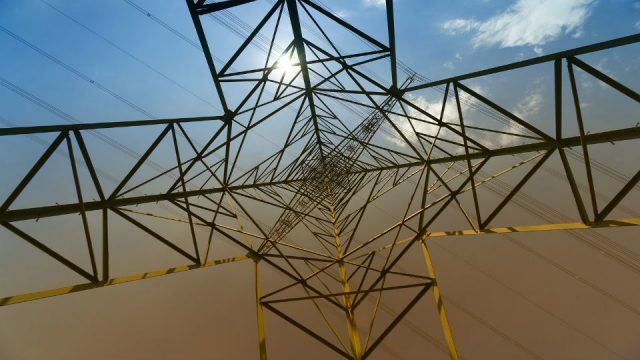 The proposed capacity reserves would “prevent the electricity price from going through the roof” whenever power became scarce. RWE can now reduce CO2 emissions on the path to increased profitability. Lignite extraction at the Garzweiler mine is being continued until 2045, but 400 Mt of the 1.2 billion metric tons at this location will no longer be excavated. The three villages (Holzweiler, Dackweiler & Hauerhof) thereby saved from destruction will present no further corporate risk. Additional generating blocks are also likely to be retired over the next few years. Realizing enhanced revenues with less ecological damage should restrain both popular protests and communal deliberations on divestment. When the Czech consortium EPH/PPF Investments acquired Vattenfall’s lignite operations last September, the stock market became irrelevant to mining and generation. 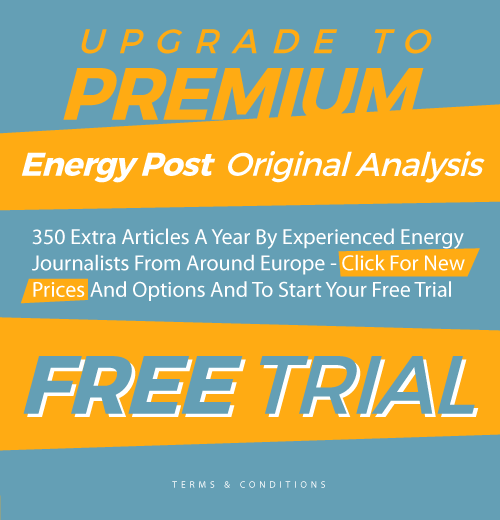 The renamed energy corporation LEAG nevertheless announced a significant reduction of lignite mining on March 13 owing to “the obvious will on the part of federal policy” to pursue Germany’s climate goals “on the back of lignite”. Not only is long-term planning at question, but “even intervention into licensed stockpiles is now acceptable”. As in the case of RWE, however, selective decarbonization is helping to sidestep mining opposition. Electricity generation will likely be continuing at the LEAG Schwarze Pumpe, Boxberg, and Lippendorf power stations for at least another two decades. For the aging 2,720 MW Jänschwalde installation 130 km southeast from Berlin, however, two of the six blocks will now be entering standby operation in 2018 – 19 under a reimbursement agreement with the federal ministry of economic affairs BMWi. Since the adjacent mine can be appropriately downsized, LEAG will no longer be resettling the villages of Atterwasch, Kerkwitz, and Grabko. The area’s 900 inhabitants had already begun a regional energy transformation. In 2014, Atterwasch alone generated more electricity than required by all three communities using animal waste biogas (up to 3.5 MWh/a) and 40 kWp installed solar PV capacity. Farther south in Saxony, the Nochten mine that serves the Boxberg power station will also be confined to existing boundaries. Excavation plans for the endangered communities of Schleife, Rohne, and Mulkwitz have been cancelled, leaving only the resettlement of 200 villagers in the vestigial Mühlrose settlement necessary for extracting an additional 150 Mt of lignite. The suburb of Proschim at the third Welzow mine, however, faces three more years of corporate indecision over its ultimate fate. The revised mining plans have been unexpected. Some families had already bought land elsewhere after the 2012 Vattenfall license application foresaw resettling 1,700 residents from the four Nochten villages. Since existing homes could not be sold without an indemnification agreement, however, particular property owners may now be saddled with two mortgages. Stanislaw Tillich, premier minister of Saxony, has emphasized a standing agreement with the federal government to place economic development on an alternative basis before cutting back on lignite usage. However, the mining regions have always been susceptible to changes in EU emissions regulations and to overall carbon pricing. The LEAG decision in Lusatia has shown, furthermore, that the lignite corporations have made no forward commitments to maintaining the economic viability of regions they ultimately will be abandoning. LEAG is already saving resettlement costs for all six villages while reducing the extent of post-mining precautionary risks. Despite the low-cost extraction of lignite from opencast mines, its low thermal rating requires vast areas of landscape to be excavated and later ecologically restored using reserved corporate assets. The commitments required of LEAG for this purpose have been the subject of a recent confidential report presented to the parliament of Saxony by the state accounting office. Numerous fossil fuel plant acquisitions by EPH in the UK, Italy, and Eastern Europe have rendered the company’s financial assets opaque. After Greenpeace issued its updated EPH Schwarzbuch (Black Book) at the beginning of the year, the government of Brandenburg conceded that it had no legal means of verifying the use of €1.7 billion transferred by Vattenfall to cover post-mining indemnities. With mining landscapes already disfigured, extensive efforts are required even to inhibit the ongoing deterioration of the natural environment. In recent years, unexpectedly high levels of acidified groundwater have been rising from formerly excavated lignite seams near the Brandenburg River Spree and the Leipzig Pleiße basin. 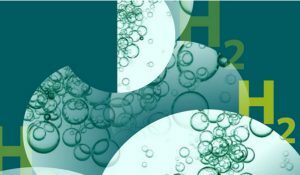 The mining wastewater pervasively contaminates lakes and tributaries with iron sulfate that is chemically transformed to indelible brown hydroxide (FeS2 + 7/2 O2 + H2O → Fe2+ + 2SO42- + 2 H+). The resulting aquatic damage persists for decades until groundwater currents finally attain a state of equilibrium. Bizarrely, combating acidic groundwater can be one of the arguments for the continuation of mining. 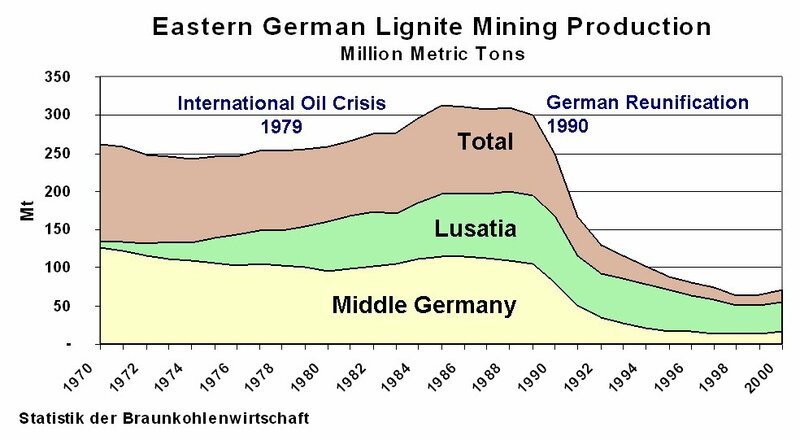 East German lignite dependency intensified in the 1980’s after the Soviet invasion of Afghanistan had raised import energy prices. The sharp decline of lignite mining after 1990 has now reduced the pumping discharges that could be needed to dilute contaminated lake and river water. Recent iron sulfate leaching at Witznitz, for instance, has acidified the Pleiße watershed to levels as low as pH 2.6. 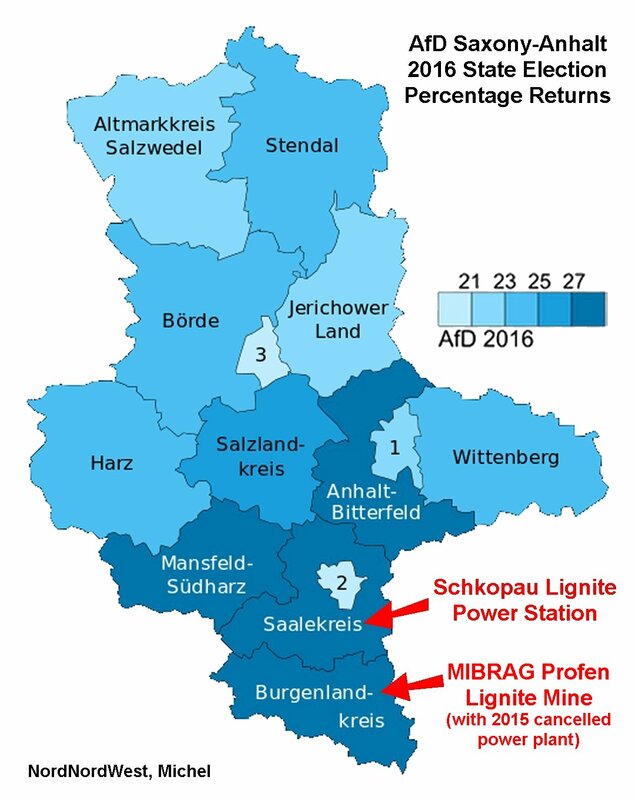 Possibly for hydrological reasons, therefore, MIBRAG has been attempting to resettle the nearby village of Pödelwitz and the adjacent hamlet of Obertitz despite the unfounded need for extra lignite at the Lippendorf power station. RWE has already shown that profits can be increased by focusing generation on periods of high grid demand. Nevertheless, extracting additional quantities of lignite would make more water available, while local sand deposits from ancient riverbeds might also be exploited. The meager financial resources of the six rescued Lusatian communities had largely been dedicated to the expected resettlement of over 3,000 people. Following revised LEAG planning, the governments of Brandenburg and Saxony are now obligated to preserve the very rural villages that their previous energy policies had been dedicated to destroying. Many Eastern German lignite communities are highly indebted after returning millions of euros in tax revenues to Vattenfall in result of corporate losses from nuclear phase-out. Solar and wind farms provide no equivalent income prospects. To begin with, each wind turbine qualifies as a separate tax entity with a €24.500 annual exemption. Homes with rooftop solar panels are literally just cottage industries. The regional decline of mining employment has provoked unforeseen political consequences. LEAG’s sister corporation MIBRAG decided in April 2015 to cancel the intended construction of a 660 MW lignite power plant at its Profen mine near Leipzig. The requirement for that project had long been questioned. Renewable energy generation in the state of Saxony-Anhalt already fills half of local electricity demand. The growing forward-looking risks of coal power generation have been recently verified by a Bloomberg analysis. The abandoned Profen generation project had promised 4,000 highly qualified construction jobs. Thereafter, 150 permanent plant employees would have been required, with 3 Mt annual lignite demand also securing a sixth of total MIBRAG mining production. An additional 2 Mt/a of Profen lignite would have been delivered to the Buschhaus power plant near the Volkswagen factory in Lower Saxony. 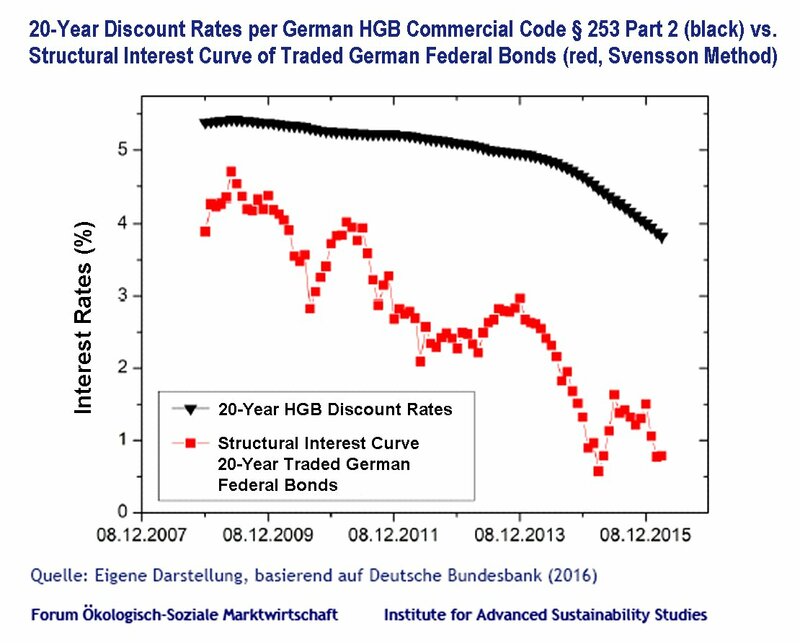 In implementing national climate strategies, however, the German government instead provided MIBRAG with an estimated €200 million of ratepayer funds in 2016 to relegate Buschhaus to standby operation, with retirement four years thereafter. Together with the two blocks at Jänschwalde and an additional five in the Rhineland, Germany will be saving around 12 Mt of CO2 emissions annually at a total compensation cost of €1.61 billion. Reducing lignite requirements has had significant political repercussions on MIBRAG territory. Following cancellation of the Profen plant, local membership in the right-wing Alliance for Germany (AfD) soared. Founded in 2013, the party already captured 24.3% of the seats in Saxony-Anhalt’s parliamentary elections just three years later. The AfD rejects renewable energy feed-in tariffs and national climate protection policies. Following the additional cancellation of lignite deliveries to Buschhaus, employment at Profen will now be reduced by over 320 miners – nearly one-fifth of regular MIBRAG personnel – by 2018. Further disquieting news was recently published in the 2015 MIBRAG corporate report for the 5 Mt of Profen lignite delivered annually to the 900 MW power station at Schkopau, erected in 1995 as the centerpiece of Dow Chemical operations and local railway (16 2/3 Hz) generation. Due to sinking profitability, the “economic viability of the Schkopau power plant” has become “particularly vulnerable”. The current lignite supply contract ends in 2021 with corresponding “implications for the further development of the open pit mine”. The possible resulting sale of MIBRAG to LEAG by its current owner EPH could reduce the cost of lignite supplied from the second United Schleenhain mine to the Lippendorf power station. Regional employment and third-party contracts, however, would likely be diminished. The AfD may make one claim with confidence: The abandonment of lignite never delivers immediate economic alternatives. When the 352 MW MIBRAG Buschhaus plant in Lower Saxony ceased regular operation on October 1, 2016, mining and generation were eliminated as the principal source of regional public revenues. A decade ago, business taxes of up to €10 million annually had been collected from the Buschhaus site by cities in Helmstedt County. The German federal government has now provided a solitary grant of €900,000 for implementing a “structured development process” to produce “new economic prospects for the region”. However, local communities formerly unprepared for this abrupt transition are now compelled to implement its fulfillment. 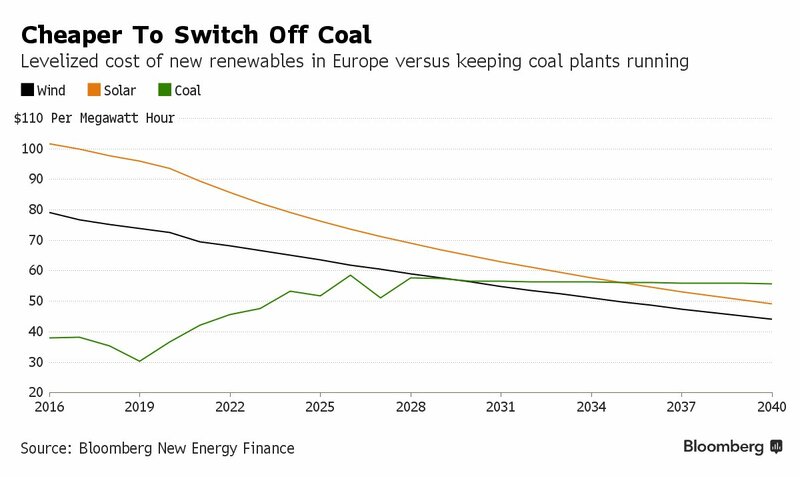 The corresponding opportunity for low-carbon development can compensate the retirement of the 1985 Buschhaus power plant, for which CO2 certificates (about 2.2 Mt/a) have not been retired, but only auctioned off under the EU emissions trading scheme ETS. The rescued villages of Lusatia are currently adrift in unused fields of lignite. Entrepreneurial investment might be attracted to these regions by providing specialized financing and insurance, strategic community services, and dedicated programs of education and training organized by the state employment office. 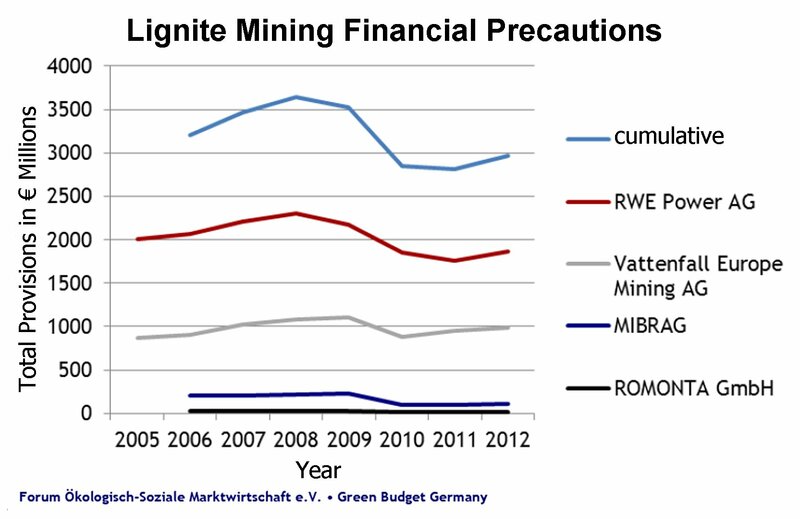 The need for fiscal rigor had often been neglected during the era of lignite prosperity. Today, however, the legal interest rate of 6% on retroactive Vattenfall tax refunds has become incompatible with applicable taxation provisions of the civil code HGB. Particular communities may soon be proposing corrective legislative initiatives. Regional chambers of commerce routinely evaluate the international strategies of corporations on local territory. Dow Chemical is already equipped to integrate the Energiewende into its expanded production plans at Schkopau. The U.S. parent corporation recently raised renewable electricity contracts to 750 MW by 2025 for its Texas operations. Much of the European chemical industry is concentrated in traditional coal and lignite regions. Plants with high emissions are located along prospective CO2 pipeline routes. An international fossil fuel divestment campaign might only injure or eliminate these sites. To continue their operation, existing equipment could instead be gradually converted to renewable energies supplemented by CCS for carbon-based processes. Jeffrey Michel (jeffrey.michel@gmx.net) is an independent energy expert based in Hamburg. See his author’s archive on Energy Post.